The Chamber names legislative advocacy as part of its primary mission. Each year, the Government Affairs Committee takes part in legislative activities including: Evening at the Capital, Business Day at the Capitol, and candidate forums. Volunteers are the backbone of our organization. The Chamber creates opportunities for volunteers to establish well-rounded positions on significant political issues. Input and participation from our members allows us to accurately represent our business community. The Chamber provides multiple opportunities for your voice to be heard in the local, state and national government. Government Affairs Committee: Participate in important policy-making decisions. The Government Affairs Committee meets the second Friday of each month from 7:30-9 a.m. To receive meeting notices, contact Kellie. Evening at the Capital: Don't miss this year's event on February 13, 2019. Cost is $39. Sponsorships are available. To receive notices of upcoming Legislative Connection events, contact Kellie. Minnesota Chamber*: The state's largest pro-business lobbying organization representing over 3,200 Minnesota businesses on state public policy and regulatory issues. U.S. Chamber*: The world's largest not-for-profit business federation. The U.S. Chamber lobbies at a federal level on behalf of businesses and business associations, as well as state, local and international chambers of commerce. Session Priorities Dinner: The Minnesota Chamber sponsors a Session Priorities Dinner in St. Paul on the first day of the legislative session. The dinner includes a panel discussion with House and Senate leaders, along with other legislators from around the state. Any interested St. Cloud Area Chamber member is welcome to attend. Business Day at the Capitol: See the legislature in action at Business Day at the Capitol, sponsored by the Minnesota Chamber. Over 800 Minnesota business leaders attend this annual event to learn about state legislative issues and lobby at the Minnesota Capitol. St. Cloud Goes to Washington, D.C.: Each spring Chamber members travel to Washington, D.C. to meet with members of Minnesota's congressional delegation. The trip is designed to give our members the opportunity to speak with federal officials and the U.S. Chamber staff about issues affecting businesses in Minnesota. Contact Teresa if you're interested in learning more. *The St. 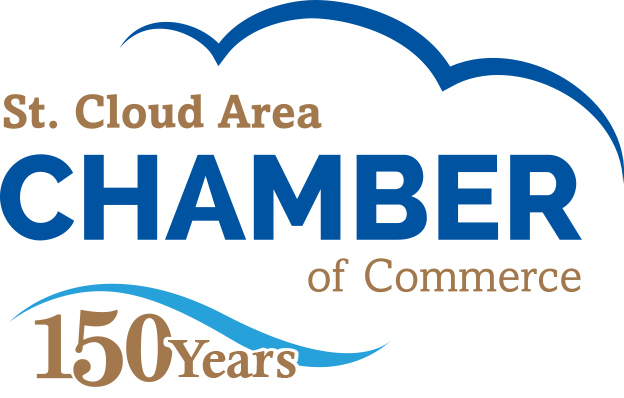 Cloud Area Chamber is a dues paying member of the Minnesota Chamber and the U.S. Chamber of Commerce, but has no other affiliation with these organizations. Be prepared for plenty of excitement as 70 St. Cloud Area Chamber member businesses and organizations come together to "Connect Companies with Community" for an evening of networking opportunities, food, and fun. The event, sponsored by GLM Dsiplays, City of St. Cloud, and ScreenTime Indoor Billboards, takes place on Thursday, April 4 from 4:30-7 p.m. at the St. Cloud River's Edge Convention Center, 10 4th Ave. S, St. Cloud. Visitors can look forward to displays, food, a cash bar, games and fun. Chamber member businesses and organizations will be highlighted at this showcase, and this event is open to the public. This year Bluestem Brands has sponsored an XBox system as our grand must-be-present to win prize! This is the perfect occasion to get to know area professionals, learn more about local businesses, or set up a booth and spread the word about your own company or organization. For more information or to learn more about participating in the Business Showcase, contact Sheri. Our 2018-19 Volunteer Yearbook has contact information for the Chamber's volunteer committee chairs and vice chairs. Download your copy today! Membership Matters is published quarterly by the St. Cloud Area Chamber of Commerce. For subscriptions or change of address, contact us at (320) 251-2940, 1411 W St. Germain Street, Ste 101, PO Box 487, St. Cloud, MN 56302-0487, email: information@StCloudAreaChamber.com, or visit our website: StCloudAreaChamber.com. We welcome your questions or comments. Teresa Bohnen, president; Gail Ivers, vice president; Kelti Lorence, editor. The St. Cloud Area Chamber of Commerce is the premier representative of the business community. Supported and led by members and a professional staff, we create, enhance and support a healthy business environment for our members. As a regional organization of diverse businesses, we increase business contacts, enhance professional development and provide leadership and information on local and state business issues. To update your email address or unsubscribe from electronic mail, please contact Vicki at 656-3822.